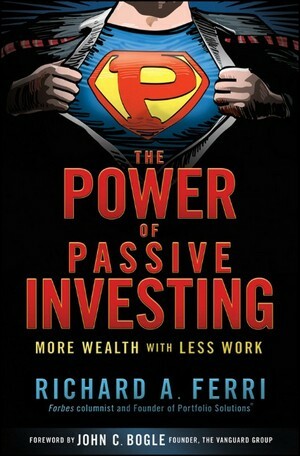 The book of the week was The Power of Passive Investing by Richard Ferri. I am going to make this quick because I am stuck in a blizzard in the middle of no where in Minnesota. So... The book was very good. It is everything you ever need to know about passive investing ie. using index funds or ETFs. It is very academic, so it gets a little dry in parts of the book, but all the information is still very interesting. If you have interests in the details of why passive investing is so much more effective than active investment funds then this book will tell you everything you need to know and more. The history of passive investing is pretty neat too. As always, if you have any questions on the book don't hesitate to ask. I would be more than happy to help anyone that wants it.